This stuff is nice and thick (but a bit messy to use). But the upside is that this grease stays where you put it and works nicely as intended. A little bit goes a long way! This works well in all bearing applications and freehubs and seems similar to factory grease. Whether it's as waterproof as Phil Wood I don't know. This is some real slick stuff, best I've used. used this stuff to slick my stuff needing slicked, and boy is it slick, but it is also greasy, a trade off I guess. I don't have a huge amount of grease experience, but this stuff seems good. It lasts a long time and stays put. I'm a fan, and don't see myself buying more grease again for quite a while. 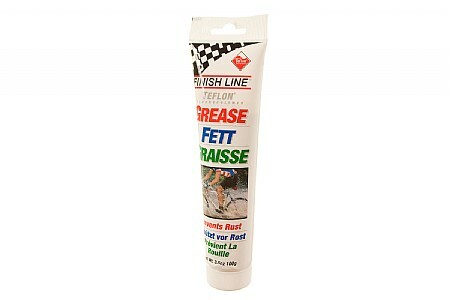 Good, sticky, long-lasting grease I've used it for headset bearings, hub bearings, pully bearings. Hold up well through a heavy rain. i use this on my bearings, its waterproof it last's for a long time. I had a bottom bracket (old style) where the race was starting to wear, this grease coated it and now it runs lika new one, somehow it smoothed it out and now its perfect. I use it on my wheel bearings to and it is great!